Leiston host Stratford Town at Victory Road this weekend. Having not played for two weeks, Leiston remain 10th in the league table. Rob Eagle (unavailable), Seb Dunbar and Harry Knights (suspended) will be missing however Dominic Docherty has returned from injury and new signing Josh Hitter will be included in Stuart Boardley’s squad. Before the match, Joe Jefford and Patrick Brothers will be awarded their trophies for 400 and 350 club appearances respectively. Joe reached the 400 milestone against Lowestoft Town on New Years Day while Patrick reached the 350 mark away to St Ives Town in October 2018. 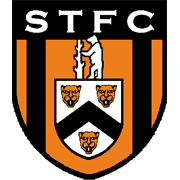 The visitors were originally founded in 1941, initially being called Stratford Rangers, before they changed their name in 1949 to Stratford Town. They played in a variety of local leagues early on in existence as they played in the Midland Football Combination League, Birmingham and District League, West Midlands League and Hellenic League. The furthest they have got in the FA Cup is the Third Qualifying Round, reaching it three times in 2004, 2006 and 2011. Stratford won promotion to Step 3 football in May 2015, beating Larkhall Athletic 3-2 in their respective Step 4 play-off final. They have been at their new home, Knights Lane, since 2007. This season they are currently in 3rd position, accumulating 50 points from 27 matches. They haven’t lost in the league since a 1-0 home defeat to Alvechurch at the beginning of 2019. They defeated Leiston 3-2 earlier in the season. The Blues took the lead within a minute as Christy Finch netted, but ‘Town’ levelled through Wilson Carvalho and Albi Skendi netted to put the hosts in front. Before half time, Jake Reed put Leiston back on level terms but with just over twenty minutes to go, Carvalho got his second to give the Stratford the points.